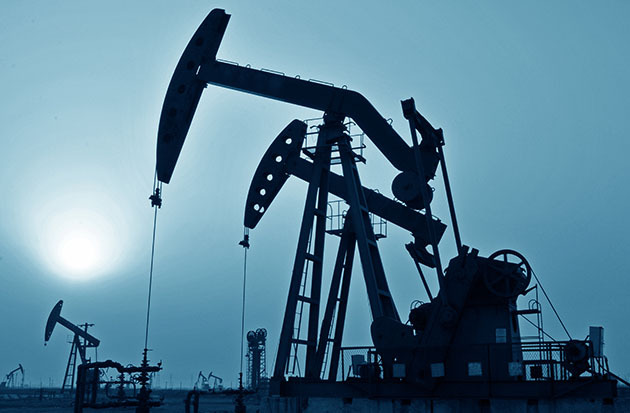 Prospects for this craft oil company focused on small plays in domestic oil fields are discussed in this interview with Maurice Jackson of Proven and Probable. Maurice Jackson: Today we will highlight a world-class upstream oil and gas company. I'm speaking of Jericho Oil. Joining us today is Brian Williamson. He is the CEO of Jericho Oil Corp. (JCO:TSX.V; JROOF:OTC). I'd like to begin our discussion today at the 10,000 foot level and discuss the different between big oil versus craft oil. Brian Williamson: Most of the folks in the world that look at oil and gas have heard of all the large majors out there, your Exxon/Mobils, your Gulf Oils, your Anadarkos and most of the big ones around the world. What they haven't heard about are the smaller players who are focused on specific regions, specific areas, like us, where they know one play, one opportunity, and they drive trend, technology, and development in some of the best plays in the world. It's just that they focus on that play, that opportunity, just like Jericho does. Maurice J.: How does Jericho fit into the narrative of craft oil, and the value proposition it presents to the market? Brian W.: We believe the value is all about understanding and delivering best-in-class results in a particular opportunity in a particular play, and in our world, the ability to find oil gets harder and harder every year. You want to be aligned with a team that knows an asset, knows a region and knows how to develop the hydrocarbons in that area. At Jericho, that's exactly what we built: a team geared around developing the stack, a team that understands, lives, and has breathed Oklahoma oil and gas development for the last 40 years. That local knowledge, that rock knowledge, that geology knowledge, that development experience translates very, very well into successful after successful development program. For Jericho, where the value started was almost on day one in the downturn. It was our ability to take that very deep technical knowledge that we get as being a craft oil company, and executing on it by buying what we believe to be world-class assets in our region, that we understand, at what we believe to be discounts to what would be their normal market value. How you would see us fitting in is through the migration or the transition from the buying opportunity that existed for two and a half years to now, the development opportunity that exists. It's using those very specific, very focused technical skills to take, from an acquisition standpoint to a development standpoint, this particular region, this particular play, with this particular team. You're starting to see that as we've moved into higher prices in 2018. We've begun executing on that with the Wardroom well, which was our first, and now our second well, the Swordspear, and then we will move on down the line. Maurice J.: You referenced the use of optionality and that was one of the virtues that attracted me to Jericho Oil. We discussed plays here briefly. Just for someone new to the Jericho Oil story, please share the name of the plays that you have in Oklahoma. Brian W.: Sure. 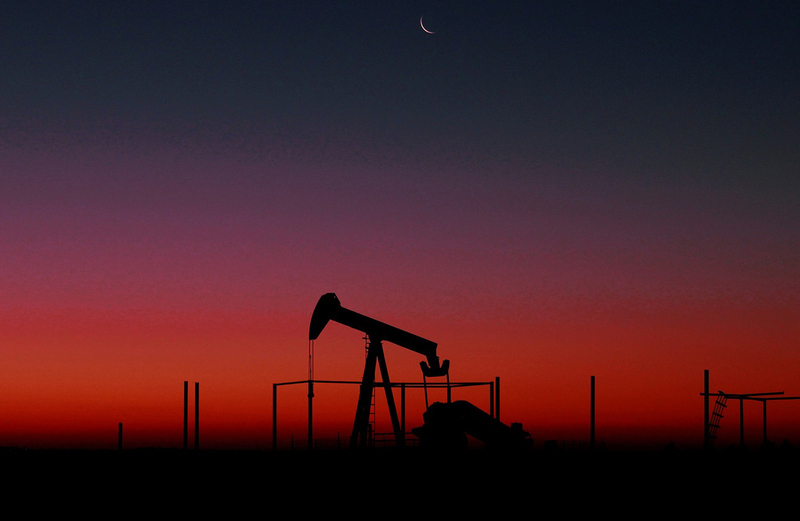 The most well-known play that we focus on in Oklahoma is the STACK play, and it's all about our opportunity to extract hydrocarbons from a known basin and a known field. So, the Anadarko basin has been around for maybe a hundred years, and it was developed vertically. And the field was deemed drained in the 1990s, whenever it was. You know, not much left to do with it. Along comes the development of horizontal drilling, and low and behold, field after old oil field are now seeing development opportunities transcend generations that were thought done. Now you're seeing it in the Anadarko basin and the STACK, particularly. So for us, that is our focus, that is our largest play in the portfolio, and it continues to grow and be an area of what we think to be great opportunity, and getting better and better each day as more and more is known about it. We have two other plays in the portfolio, no less in quality, but they're all in the same region. The other is considered a Mays play, and the third is Woodford play. Those are all source rocks that are well known to the region. Been there, been developed vertically in various different time periods over history. But to us, they all have consistent themes. High upside, low entry cost, and strong barriers to entry due to the HPV land position we control in each one. Maurice J.: Catch us up to speed since our last interview. You have updates on a joint venture and an acquisition. Brian W.: By no means, as a small oil company, do we believe that we have all the answers to how best to develop the STACK. So we thought it best to partner, and do a couple of joint ventures with other deep, experienced teams that we have a lot of respect for, and vice versa, on a couple of our flanks, one being our western flank, and the other being our northern flank. In each one of those, we had a very specific target in mind. 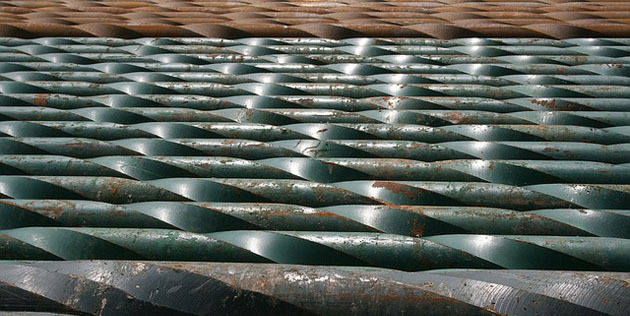 On the western flank, the joint venture was focused on understanding the development of the Meramec, which is the shale portion of the STACK play. The other joint venture, which was our northern joint venture, was focused on the development on the lower Osage, which dominates our portfolio. We have�round numbers�700 feet of lower Osage rock as pervasive from our eastern to our western flank of the 16,000 acres we have now in the play. The first joint venture was all about developing the Meramec, which was the Wardroom well, and that has turned out to be an outstanding well. So far, so good. Its peak IP was 950 BOEs a day. Its 30 day was 750. The 60-day moving average has been over 450, so right on line with our tight curve. It came in under cost from a drilling perspective. Everything about the Meramec and the Wardroom has been real positive for us on our western acreage. Pretty excited about that. On the Swordspear drill, it's exactly as we thought it would be. The frack went as we thought it would go. Because it's lower Osage, the flow back takes longer. You tend to see peak production somewhere after the first 30 days of flow back, post 10% of recovery, and then you'll see peak 30 day somewhere after day 60, probably around 75 to 100. Being a small craft oil company, we need to be a little more patient, because we don't have eight rigs running, and so our wells tend to deliver results not in as quick of batches as you would get from just a major or very large independent. We're very well by well-focused. We will continue down the path of doing high science with each well so that we have more and more understanding of the acreage, but we are very excited to see the results of the Swordspear. We think it's going to take another 30 to 60 days. That's our guess at this point. But everything we've seen so far indicates that it will be a very positive experience for us. The next set of opportunities will be probably not too dissimilar to the last with the Swordspear. It's just a question of wherever the next location will be. Maurice J.: So to confirm here, the targets met or exceeded expectations. Is that correct, sir? Brian W.: So far they did, Maurice. That's correct. Maurice J.: As a reminder regarding the acreage acquisition, we basically doubled our acreage package, is that correct? Brian W.: We did. We are opportunistic, and we've been that way since the beginning. That is not new for us. Maurice J.: Switching gears, Brian, what is the next unanswered question for Jericho Oil? When can we expect an answer, and what determines success? Brian W.: I think the next unanswered question for us is capital and continued development. We will look to bring on two more wells before year-end, and then to move to a full field development program. The question will be how do we grow, post that? I think we'll have an answer to that as we get closer to the end of the third quarter. Maurice J.: Now, if plan A fails, what is plan B? Brian W.: I think plan A is the STACK. Plan B would be to move capital in. In some extent, we already do this, but to move more capital into developing one of the two formations in the STACK, and then adding one of our second assets into the mix. To us, the STACK has a lot of value, and we think it may take a little bit to figure it out. Drilling wells is a science, but it's also an art, and we see nothing that suggests that the STACK can't be all that we think it can be, in terms of the opportunity. Just may take a little bit of time to figure it out, Maurice. Maurice J.: Mr. Williamson, what keeps you up at night that we don't know about? Brian W.: Volatility. We continue to see massive movements, almost on a daily basis, in the price of hydrocarbons, particularly oil. It seems that everyone is trying to read the tea leaves, and guess where prices are going. What you'll see is that the market would tell you that it has very little confidence in long-term oil prices, which is disappointing to us, because we believe that there are not a lot of places to go right now where you're going to find significantly accretive oil-producing formations around the world. We are believers that the best locations and the known plays have been or will be all drilled out in the next 12 to 18 months. So you will be drilling B, and C, and D locations, which, to ascribe the same consistent results to would be inappropriate. To us, we see the idea of backwardation in the prices as something that's a concern, because it shows the market has no long-term belief in oil prices at this level, and we just think that that's completely inappropriate in what we're seeing in the field, at the field level. Maurice J.: I'm going to play devil's advocate here, as a shareholder. 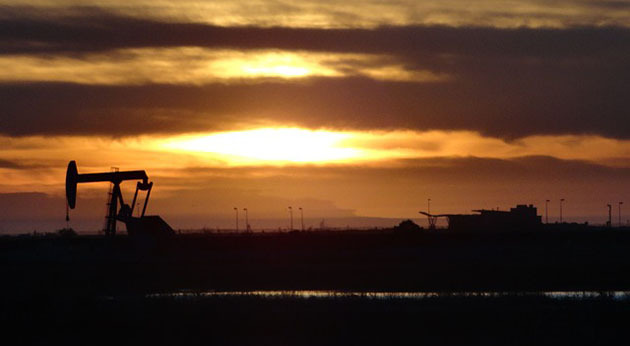 With lower oil prices, does that mean an opportunity to acquire more land? Brian W.: It takes more than that, Maurice, unfortunately, because landowners are now conditioned for a higher price environment again. You tend to get that same mentality from $100 oil to these quick run-ups. They jump right up in terms of price. You need to be patient in how you approach the landowners, because if there's a mass rush, they're very sophisticated when it comes to selling their minerals, and they will be immediately looking to achieve a higher bonus in their sale. Maurice J.: Last question. What did I forget to ask? Brian W.: For us, the question that people forget to ask is that what makes you guys so interesting, and the STACK so interesting to you? I think one of the things that gets lost is that each STACK well delivers at $60 oil $3.5 million of PV10 value to our company. If you look at that, and say, "Well, how many locations do you have?" we have 200 locations. If you look at that, and model that out, you're looking at $700 million of PV10 value. Obviously, that's post drilling those wells, and we have to drill those wells, but that's the upside of Jericho. It's not so easy to see, because as a small oil company, we've only done a handful of things in the play, but that $700 million PV10 value is the upside that exists in Jericho right now. Maurice J.: For someone who wants to get more information regarding Jericho Oil, please share the contact details. Maurice J.: And last but not least, please visit our website www.provenandprobable.com where we interview the most respected names in the natural resource space. You may reach us at [email protected]. 1) Brian Williamson: I, or members of my immediate household or family, own shares of the following companies mentioned in this article: Jericho Oil. I personally am, or members of my immediate household or family are, paid by the following companies mentioned in this article: Jericho Oil. 2) Maurice Jackson: I, or members of my immediate household or family, own shares of the following companies mentioned in this article: Jericho Oil. I personally am, or members of my immediate household or family are, paid by the following companies mentioned in this article: None. My company has a financial relationship with the following companies mentioned in this article: Jericho Oil is a sponsor of Proven and Probable. Proven and Probable disclosures are listed below. 3) The following companies mentioned in this article are billboard sponsors of Streetwise Reports: Jericho Oil. Click here for important disclosures about sponsor fees. As of the date of this article, an affiliate of Streetwise Reports has a consulting relationship with Jericho Oil. Please click here for more information. 6) From time to time, Streetwise Reports LLC and its directors, officers, employees or members of their families, as well as persons interviewed for articles and interviews on the site, may have a long or short position in securities mentioned. Directors, officers, employees or members of their immediate families are prohibited from making purchases and/or sales of those securities in the open market or otherwise from the time of the interview or the decision to write an article, until one week after the publication of the interview or article. As of the date of this article, officers and/or employees of Streetwise Reports LLC (including members of their household) own securities of Jericho Oil, a company mentioned in this article. 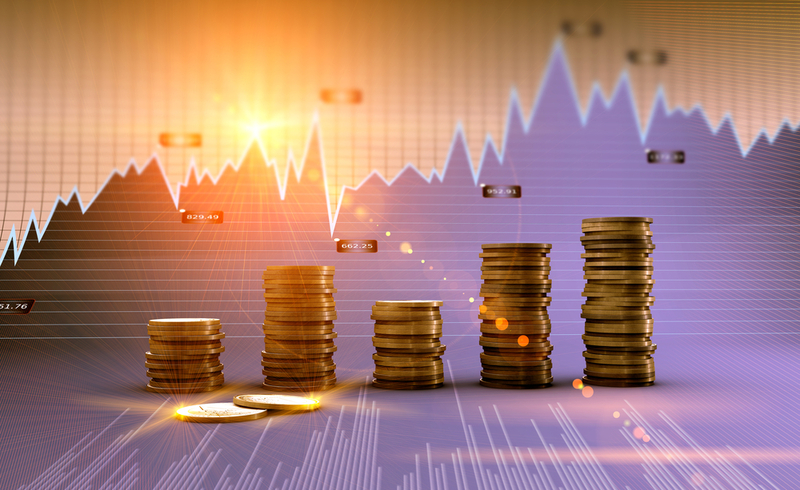 ROTH Capital Partners initiated coverage and reviewed this energy company's U.S. projects. Analyst Garett Ursu with Cormark Securities compared the current numbers to past ones and explained why this energy company still has upside. An Eight Capital report reviewed the details of this company's divesting deal. 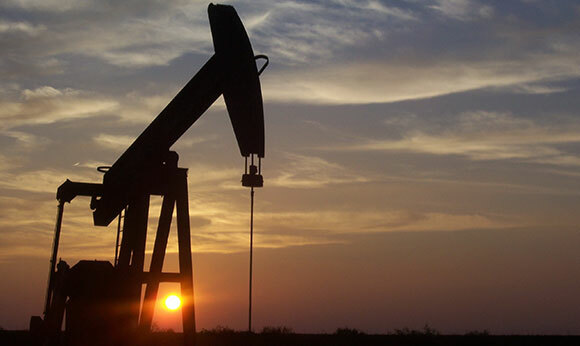 Technical Analyst Clive Maund reviews a Texas energy junior's charts and provides an update. Tom Erik Kristiansen, an analyst with Pareto Securities, reviewed this oil and gas company's recent announcement. Analyst Bill Newman with Mackie Research Capital Corp. provided a post-Q1/18 update on this energy firm. The commodity supercycle could be on an upward curve, and among the commodities, the energy metals could see the most lift, fed by demand for alternative energy going mainstream among consumers, posits Lobo Tiggre of Louis James Ltd. and founder and editor of Independent Speculator, in this interview with Streetwise Reports. Analyst Tom Erik Kristiansen with Pareto Securities made the case for investing in this energy company. Rick Mills of Ahead of the Herd opines on the political situation with Kinder Morgan's pipeline.